I’ll always be the first one to say that skin care is complimented. It can be difficult to find the right mix of products, and know where to draw the line in terms of how many you’re using day by day. Not to mention, skin care concerns change with the seasons, so you can often find me switching up my go-tos as time goes on. Every so often, I need to reset my skin care— stripping down to the basics so I can replenish my skin and evaluate what it needs. Whenever I need this reboot, there’s one constant I always reach for: the Dove White Beauty Bar. The Dove White Beauty Bar has been a skin care staple for many women for decades. The classic bar cleanser has been so popular over the years because it is hypoallergenic and noncomedogenic (meaning it won’t clog your pores), making it perfect for almost all skin types. It can also be used on both the face and body— though I recommend using separate bars for each. Maybe that’s why they include two in a pack! While soap strips the skin and can leave it feeling dry or irritated (especially during winter! 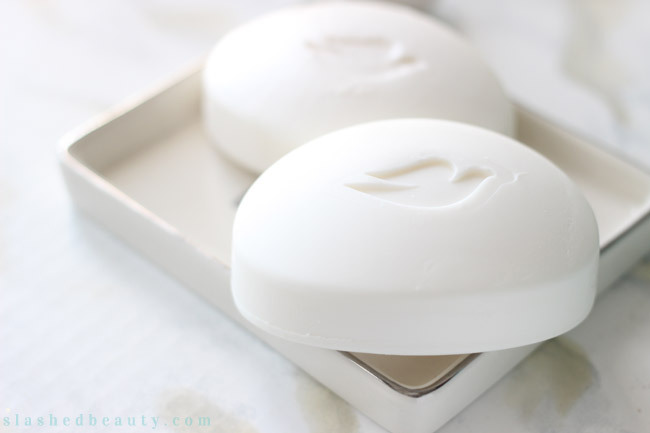 ), the Dove White Beauty Bar is made up of mild cleansers and 1/4 moisturizing cream that leaves skin soft and smooth. It’s sort of a no-brainer why it’s the #1 Dermatologist recommended bar. 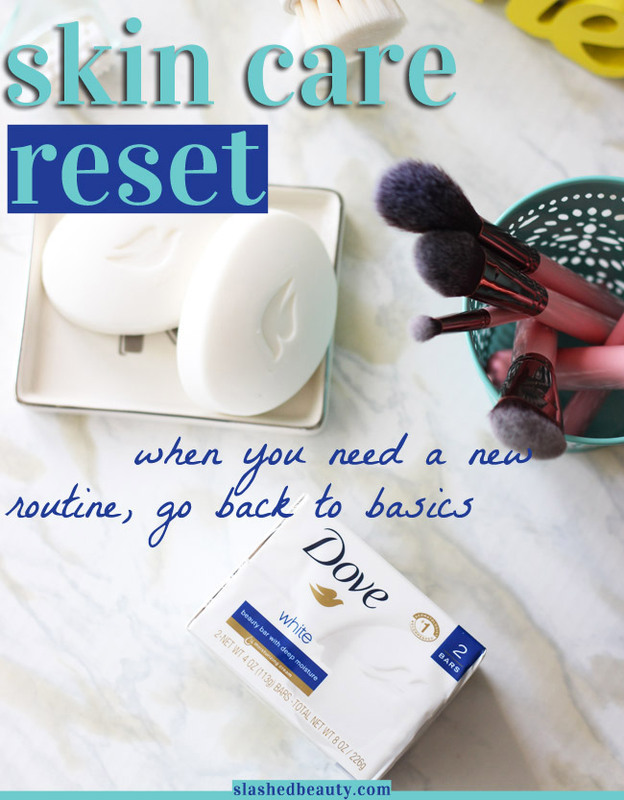 When I’m ready to reset my skin care routine, the Dove White Beauty Bar is the star of the show. I’ll lather it between my hands and apply it to a wet face, using it as my only cleanser after taking my makeup off. I follow up with some moisturizer and my skin is properly cleansed and feeling soft. Even though the routine is super simple, I’m still showing my skin some extra care. The Dove White Beauty Bar contains natural lipids to help replenish the skin, and maintains skin texture, clarity and tone over time. I’ll use it for at least two to three weeks every season to refresh my skin. From there, I can see if I need anything extra for certain skin care concerns, or if I can cut back on stronger products. Many times, the White Beauty Bar will stay with me all season because it gets the job done with no fuss! Recently, I’ve been using the bar as the focus of my winter-to-spring transitional skin care routine, and my problem areas have actually been clearing up– a sign that I need to cut back on certain products and keep things minimal this time round. Aside from the actual skin care benefits of the bar, I love how simple it makes my routine. It makes my skin feel great in one step, and I often also use it when I’m too tired for an elaborate regimen but still want to take care of my skin. You can find the Dove White Beauty Bar in drugstores, where they come in a 2-bar back for around $3.79. Stay tuned next week when I share my complete updated skin care routine! How do you give your skin a well deserved break? I LOVE Dove Beauty Bars! Basics are always great! Sometimes our skin just needs a break. This is such a great bar. 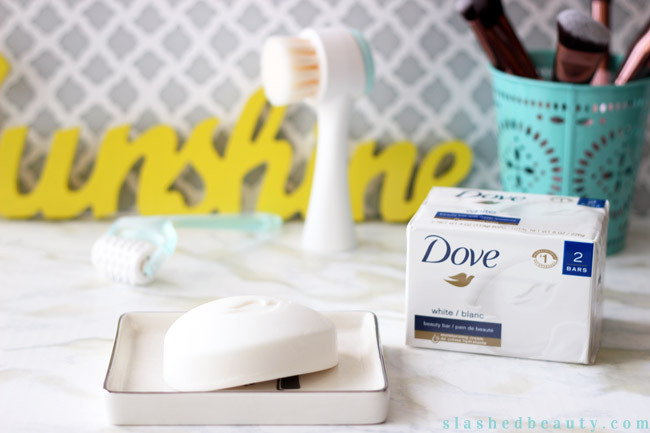 I have been a huge fan of Dove for years and continue to use their Sensitive Skin body wash in our house… the bar is a go to and back up. This is definitely an oldie but goodie in my shower! I love their shower creams, too. I use the fragrance free one on my gynocologists rec. But the regular Dove bar is so strongly scented that I can’t be near it. Yea for fragrance free though. I love this soap. It’s been a while since I’ve used it to cleanse with but it’s an old favorite. Dove always leaves me squeaky clean. Like literally, SQUEAKY! 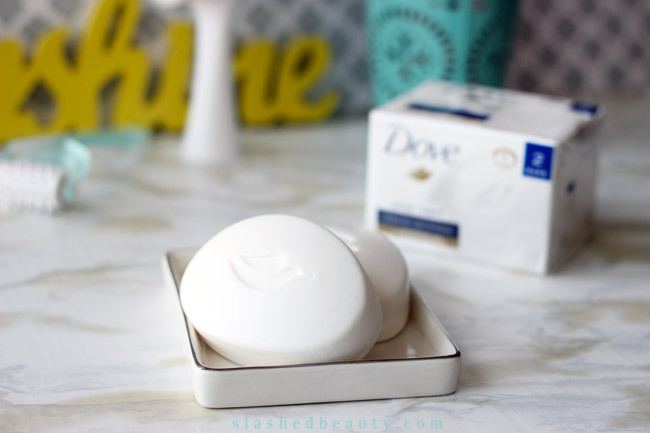 I’m generally a shower gel girl but if I go back to bar soaps, the Dove bars are fantastic! My mom always used Dove and had beautiful skin. I always liked the soft smell of Dove. I LOVE Dove! This soap is awesome! I have been using Dove for 30+ years! It really does help keep my dry skin soft. I absolutely LOVE Dove. The gentle formula of the soap is perfection. Simply OBSESSED!!! Dove was my client when I worked at Ogilvy & Mather Advertising and when I first started my consulting business. I love this “colloidal suspension”, and I still use it!